The inspection of conformal coated circuit boards is a critical process that should be carried out on completion of the coating process. 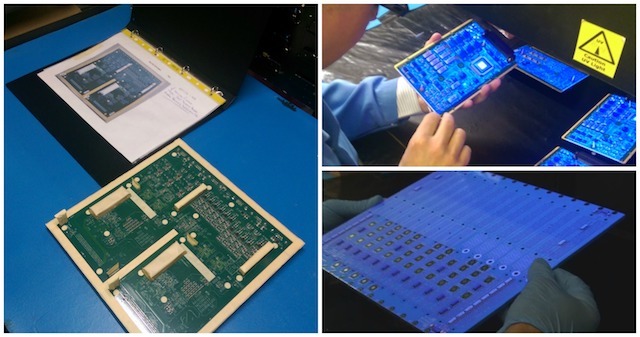 However, it is often a neglected stage of the conformal coating production line. The International standards such as IPC A 610 are explicit in their requirements for conformal coating inspection. Yet, few companies actually inspect to the required level or indeed understand what is required. 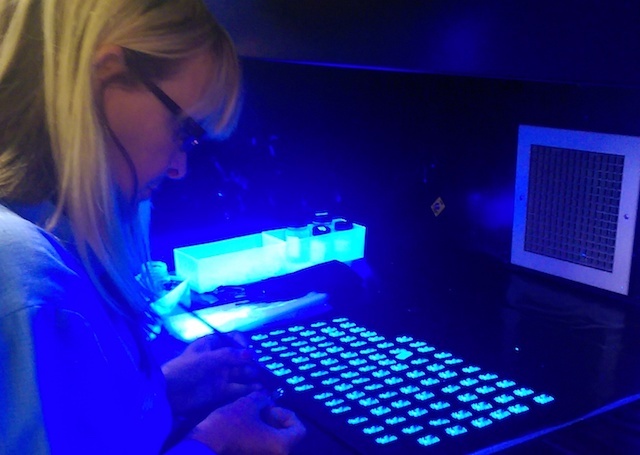 Conformal Coating Inspection can be completed by two methods. These are either manually or automatic. An operator normally completes the manual inspection process after the application and drying processes. There are two critical points when considering inspection and they all relate to creating the optimum environment for inspection. They are Optimum Visibility and Operator Safety. First point is to provide the perfect conditions where an operator can easily inspect conformal coated circuit boards without fatigue to body or eyes. This will provide the highest quality results for the conformal coating process. The inspector typically works within a suitable space such as an inspection booth. This area typically has a suitable UV light source in place with or without optical magnification for aid. This creates the right lighting environment where the inspection of the board is made as simple as possible. Once visibility is considered then the second critical factor is to provide a workspace that will keep the operator safe from the harmful effects of solvents if they are used. After all, many circuit boards are typically inspected and touched up with coating simultaneously. Complete these two points and the operator will have the perfect conditions for manual inspection of conformal coated circuit boards. An AOI (Automated Optical Inspection) system for inspecting coated circuit boards is designed to replace a manual operator who physically may have to sit and inspect every single board at the end of a line. Conformal Coating Inspection is the last area of the assembly line that is 95% manually operated around the world yet it is one of the most critical factors. However, automating a conformal coating inspection process can be a difficult task. There are several factors that influence the success. UV fluorescence strength. 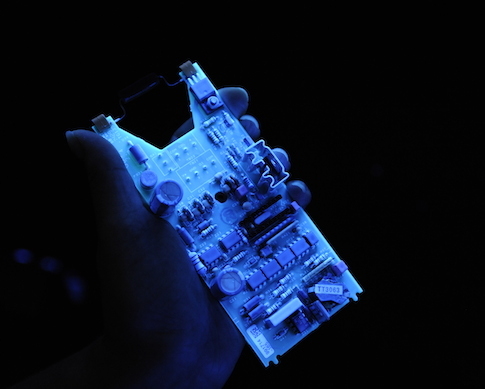 The fluorescence of the UV trace in the conformal coating and the degree to which it does glow under UV light can be critical. Transparency. The conformal coating can appear to be transparent. This transparency allows the colours of the circuit board below to interfere with the analysis of the coating image. 3D effects. The components on the circuit can affect the ability of the system to see the coating. Parallax issues. Parallax (defined as a displacement or difference in the apparent position of an object viewed along two different lines of sight) can affect cameras and scanners. False fail. The camera system “see’s” more defects than the operator would see as it is more effective. However, with recent developments it is possible to operate an automated conformal coating inspection process. This can be a critical issue that may need to be overcome. The inspection process is normally completed against a set of guidelines which aid the operator to judge a Pass / Fail result for the coating applied. These are created from the standards and the customer requirements for the final coated board. Further information on inspection criteria can be found in the IPC standards sections.